NORTH CONWAY, NH – Make plans to join us for the Mt. Washington Valley 2017 Golf Tournament Tuesday, July 25 at the North Conway Country Club. This tournament is always a fun and exciting day of golf so don’t miss it. Come learn about one of NH’s most fascinating, and elusive creatures..the bobcat. New Hampshire’s bobcat population has rebounded since the wildcat was protected from hunting in 1989. 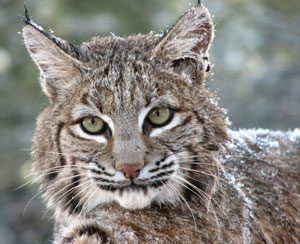 UNH researchers estimate there are as many as 1,400 bobcats in the state. A recent multi -year cooperative research study between UNH and NH Fish and Game was conducted to examine the distribution and abundance of bobcats in the state, identify what habitat features they rely upon, and to develop an understanding of how bobcats respond to expanding human populations. This program will include information about the natural history of bobcats, habitat needs and the implications of research findings for future management. 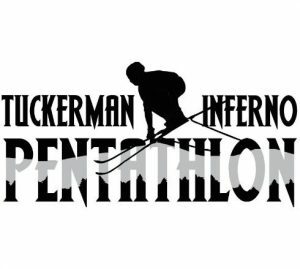 NORTH CONWAY, NH – Entry fee includes greens fees, golf cart, dinner, goodie bag, prizes and LOTS OF FUN!! 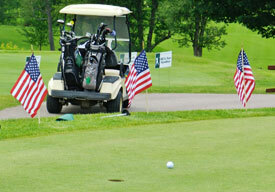 Choose from 18 holes at either North Conway County Club or Hale’s Location Golf Course. Want to play? Print, fill out and mail this 2016 golfer brochure. NORTH CONWAY NH – Every Friday the local musical legends Dennis O’Neil & Davey Armstrong perform at Deacon Street Bar & Grill in North Conway NH. 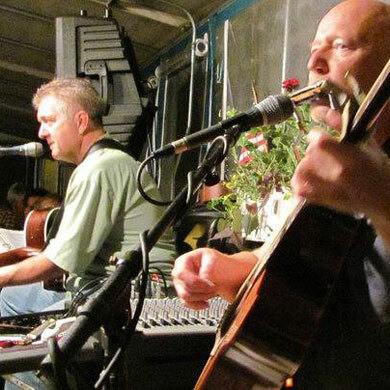 These two talented musicians have been bringing great music and good clean fun to their audiences in Mount Washington Valley for many years. NORTH CONWAY NH – The official Countdown to Christmas starts November 27th and lasts for 25 days with great deals on Gift Cards. Gift Cards are available in $50 & $100 denominations and make great gifts for holidays, birthdays or just about any occasion you can think of. Come visit us on November 27th for EVENT KICKOFF! CONWAY NH – The Festival of Trees, a signature holiday event for the whole family to enjoy. Salyards Center for the Arts in Conway Village, New Hampshire will be transformed into a vibrant and magical wonderland of Christmas elegance. Young and old, alike, will delight in the displays of beautifully decorated and lighted Christmas trees, each one unique and all available for a chance to win and take home to decorate their own home this holiday season. Admission to the Festival of Trees is $10 for adults and children 12 and under are always free! Raffle tickets will be available for sale ($10 for 25 tickets). This year proceeds from the Festival of Trees will benefit Carroll County RSVP whose mission is to enhance our communities by engaging volunteers, age 55 and over, matching their experience, talent and interests to meaningful services within our communities. 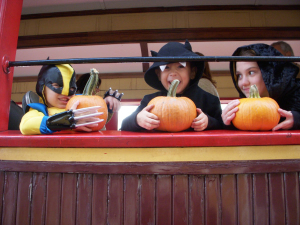 NORTH CONWAY NH – All departures are from the North Conway Station for a leisurely round trip train ride aboard vintage coaches to the White Mountain Cider Company in Glen, where each child can visit the “Pumpkin Patch” and select their own pumpkin. Departures that travel directly to the Pumpkin Patch depart at 1:30, Friday-Sunday, with an extra 3:00 departure on Saturday only. The 11:30 Bartlett Valley Train also stops at the Pumpkin Patch on its return to North Conway. Adults and children alike are encouraged to get into the spirit by traveling in their Halloween costumes.